The path animation tool is now in the ribbon bar with a couple of new capabilities. 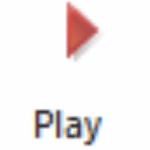 Siemens has added the animation player to the ribbon bar and there are a couple of new things that this player can do for you. They’ve also added new display options that can definitely come in handy. Read below to see what each of these buttons and options can do. Here you have your standard ribbon bar. Look a little closer and you’ll find the Animation options near the center. Now let’s take an even closer look at each of these buttons. 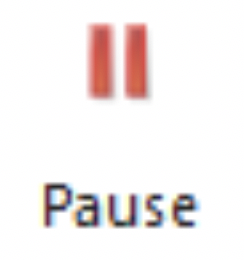 Pause is new – It stops the tool anywhere along the path. Not just at the end of the motion. Play to Start/End of motion – This is the old motion steps function and it hasn’t changed. Step Forward/Back – A step is an increment of movement. 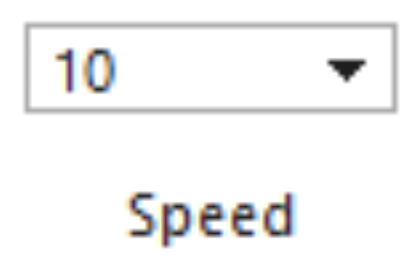 When the speed =1 the tool will move in small single increments. At a speed of 8, it moves 8 units per click. Speed – This now has two meanings. During a Play command, it controls the speed of the replay. During the Step Forward/Back, it controls how many steps it moves with each click of the Step Forward/Back buttons. Play Backward – It runs the tool from its current location back to the start. This is not new. A new option allows you to position the tool at any point on the path. You might not be aware of this new option. While playing the motion, you can choose a point on the path to which the tool will move. In previous versions, the tool would move to the nearest motion endpoint. In this new version, it moves to the location you selected. I hope this rundown of the new animation options helps. Happy animating!